"The first of its kind!" This World championship match touched many lives, and mine has been no different. Back in September, I approached the AICF with a proposal to develop a Android app for the Match. They liked the idea and the rest is history! 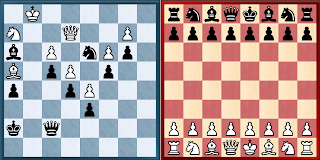 There were lots of new things that I had never done before with my other Chess apps. It was a big challenge. ♚ The first line of code! On, September 1st, 2013, I wrote the first line of code! Given my familiarity with Java and affinity towards Google, I chose the Google App Engine as my server. (One of the main reason to use a separate server for my app was to reduce the load on the official servers, especially after the London Candidates' debacle during the earlier rounds). There were many technical hurdles that had to be crossed. Line by line, file by file, the Android app and the corresponding server was brought to life. But the main setback was not a technical problem, but a lack of response from the concerned teams that almost threatened to derail the app or some of its features. There were so many questions that needed answers, but there was no one to answer! The first board prototype, using the color scheme matching the actual board from the Candidates! Lol. The teak theme was too dark on some phones, especially the black pieces on dark square. ♚ What you "fore-see" is not what you get! But as it happens with so many projects, the end-product is almost always completely different from the initial idea that you had envisaged, and some times its good. 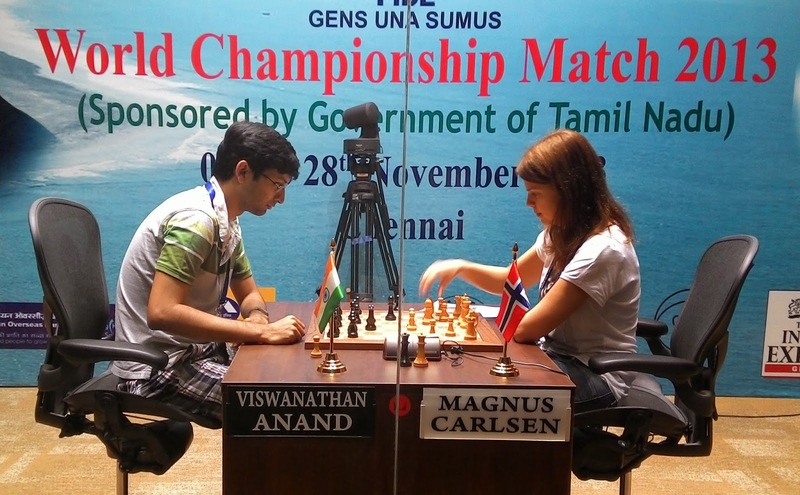 At some point, the "Cool Anand" and "Hot Carlsen" board ideas struck my mind. The app had to be made personal. After all it was all about the duo. And the fans. 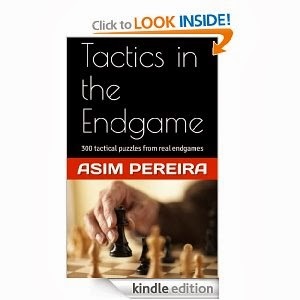 Let chess fans proudly choose the board theme matching the player they support, is what I thought! 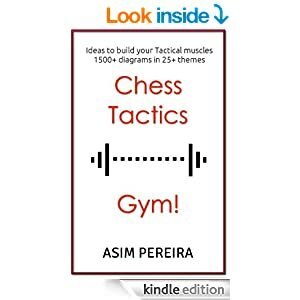 There were so many features that I wanted to add and so many changes that were requested by Chess fans, but then there is a limit to time, energy and motivation! ♚ Who will annotate the previous encounters? After several internal Beta test versions from Oct 21st to Oct 25th, the first version was released for public download on Oct 26th. I could now breathe easy, atleast that is what I thought! Then followed a series of changes, bug fixes, improvements, additions, deletions. Overall, 15 versions were released since then, each carrying some improvement or bug fix or some unavoidable design change! Top 3 countries - India (37.8%), Spain (7.72%), Germany (7.52%). Norway was #5 with 3.87% sessions. Starting with Bharat Singh, who liked the app idea and immediately called up to take this forward. Sagar Shah and Swayams Mishra who helped with the Previous encounters and Tactics respectively. Such was Sagar's enthusiasm and commitment, that he would burn the midnight oil and stay up late till the morning and annotate the game (before he got busy with his own tournament)! I think it took a toll on him and he had a disastrous performance at the recently concluded Chennai Grand Master open tournament. Soni Prasad, my college mate who designed the app icon even though he was faced with some personal tragedy and difficult situations. Aart Bik, who offered the first "foreign" hand and translated the app to Dutch. BTW, he is the developer of the popular "Chess for Android" app. Many of them came ahead on their own accord and helped with the translation. This is the real Chess spirit! Bruno Pellanda, David Kaufmann, Houssem Collo, Jan Hotarek, Michael Meyer, Sverre Eugen. And the many people on G+, Twitter and FB who helped with their kind and encouraging words. Some times users don't realize how their words (reviews in this case) can positively or negatively affect others. For instance, a user did not like the recently added Norwegian translation and chose to give a bad review. That was enough to upset Sverre, who had spent the time and effort to help translate and had personally offered his help in the first place. "So let them do it from here. 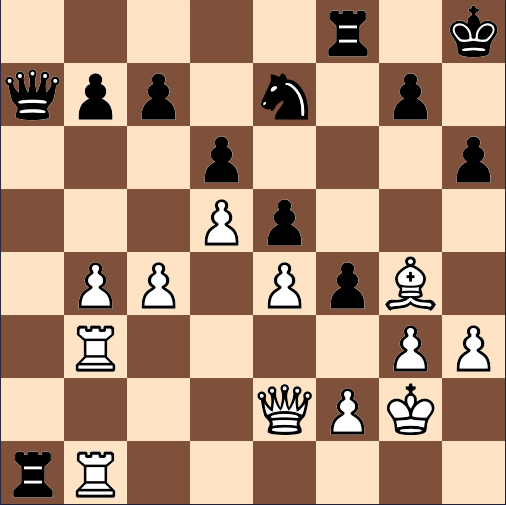 I stick to only playing chess", Sverre argued. The user who chose to award a bad review, never offered any help to correct the translation, inspite of asking for his feedback! Thats life! ♚ Future of the app? Dalila - "I'll miss seeing the coloured notification 'a move has been made'". It was indeed a part of my life for the past 3 months and for many fans world wide. 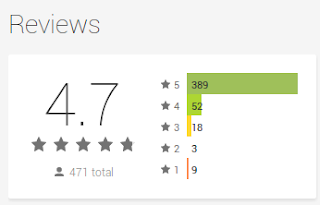 This is quite evident from the amazing response the app received. And I am truly grateful. At one point, the app was #6 in the Top New Free Apps in the Brain & Puzzle Category on the Google Play Store! So whats next? Like Deep Blue, the super computer, the app will be disassembled! But the parts will be used for a future project with the intention of watching live games and even more! Stay tuned! Watching the Opening ceremony from the front row! Sitting on that chair, touching those pieces! Oh and, congratulations to MAGNUS CARLSEN, the new World Chess Champion!